This entry was posted on October 13, 2010 at 4:07 pm	and is filed under development, javier ramirez, madrid, ruby on rails. 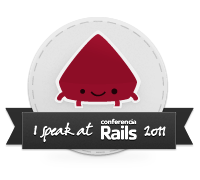 Tagged: github, javier ramirez, madrid, plugins, ruby on rails. You can follow any responses to this entry through the RSS 2.0 feed. You can leave a response, or trackback from your own site. FYI, this doesn’t work in Rails 3. They changed the flag and I can never remember what it is.